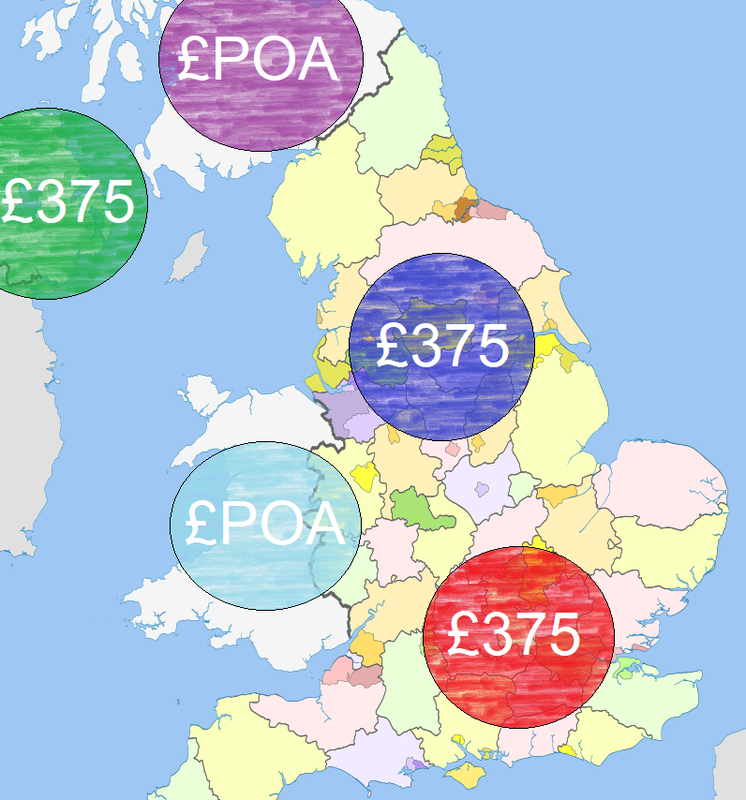 We've streamlined our installation prices across most of the UK, see our map below. The prices quoted are the costs to measure and fit your glass splashbacks (not including the cost of the splashbacks). See below for more information. For areas outside of these locations please add £1.50 per mile. 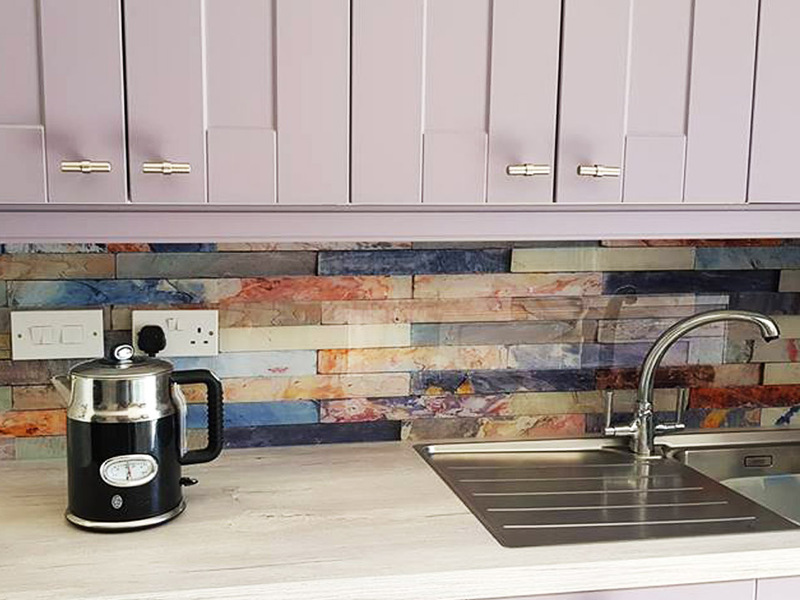 To get a price for fully fitted glass splashbacks, get a quote for coloured glass splashbacks (using our website), printed glass splashbacks or mirrored splashbacks...and add the fitting charge. The price you will get will be as accurate as the information you have provided us (entered into our website), so be sure to add cut outs and shaping where required and most importantly enter millimetres. 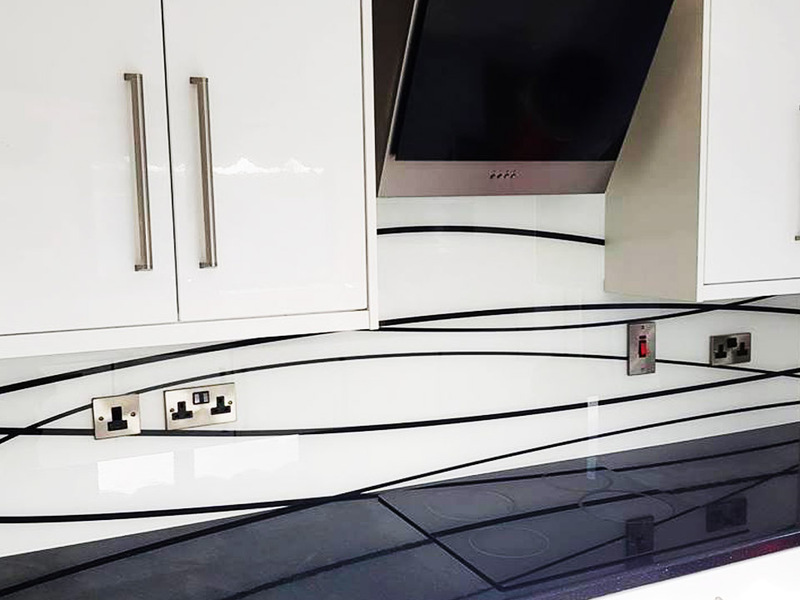 Having been in the glass splashbacks industry since it's beginning we have an unparalleled contact database of installers who can measure and fit your splashbacks for you. We can quote you upfront and so long as your measurements are roughly correct there should not be very much fluctuation in price (there may be notches, cut outs or shaping you have not considered etc.). Once we receive these details we can then email you an estimate. If the price is right for you we will put you in touch with the right person for your area to guide you through the process.